Fallout 76 is finally out on all formats in all regions, and the first mods for the PC version of the game have started emerging online. Today, an extremely useful mod has been made available which makes inventory management easier than ever. 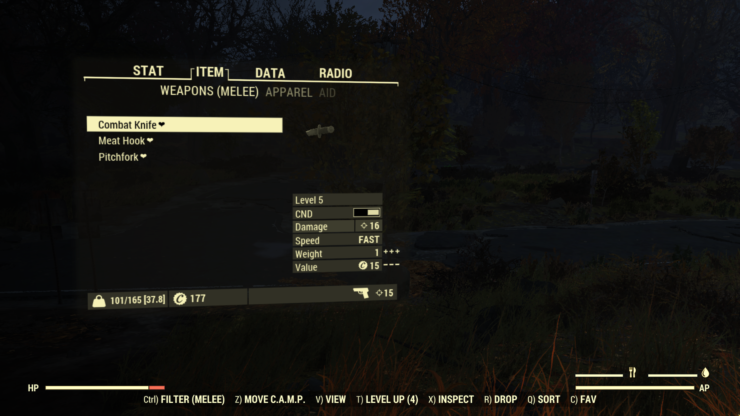 The Fallout 76 Better Inventory mod adds inventory filters for several categories, showing the weight of each category. Always over-encumbered but don’t know where your weight is coming from? Dying of hunger/thirst because you can’t find your food and drink items among all the other chems/Stimpaks/RadAway/bobbleheads in the Aid category? Better Inventory is a UI mod that adds inventory filters for several inventory categories and shows you the weight of each inventory category. View your inventory weight on a per-tab basis to find out where your carry weight is coming from. When in the Inventory page on your Pip-Boy, press Ctrl (or LB on a gamepad) to cycle through item filters. Pressing the number key 1 will remove any applied item filter, and keys 2-9 will activate a specific item filter directly. The inventory weight of your currently selected tab is displayed within square brackets next to your carry weight reading. 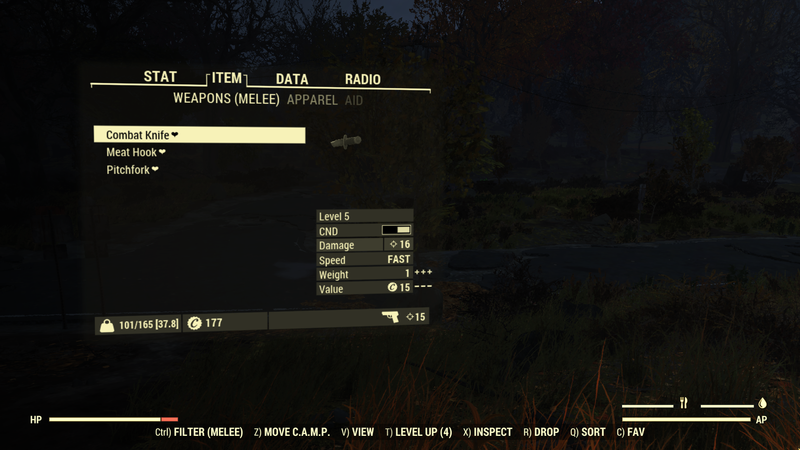 The Fallout 76 Better Inventory mod can be download by going here. Fallout 76 is now available in all regions on PC, PlayStation 4 and Xbox One.